It’s a bank holiday weekend, and it looks like the rain may stay away long enough for us to have a BBQ. Or more accurately, some charcoal grilling. 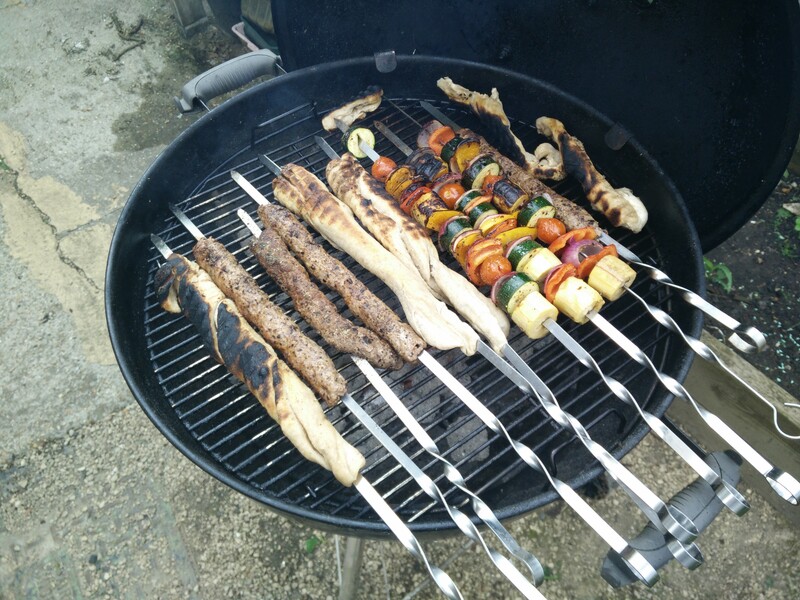 I’ve never got on with the round metal or bamboo skewers you generally see for BBQing. 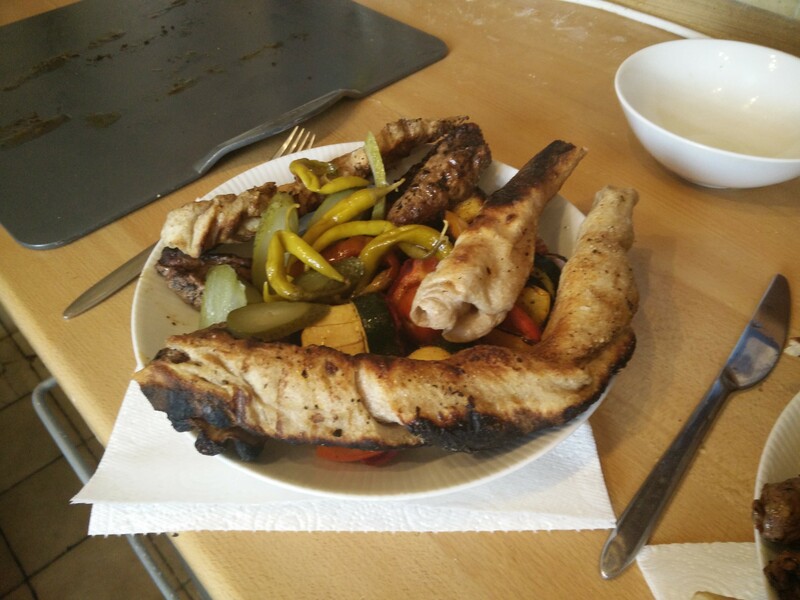 When you rotate the skewers, that’s all that rotates: the food generally stays where it is. 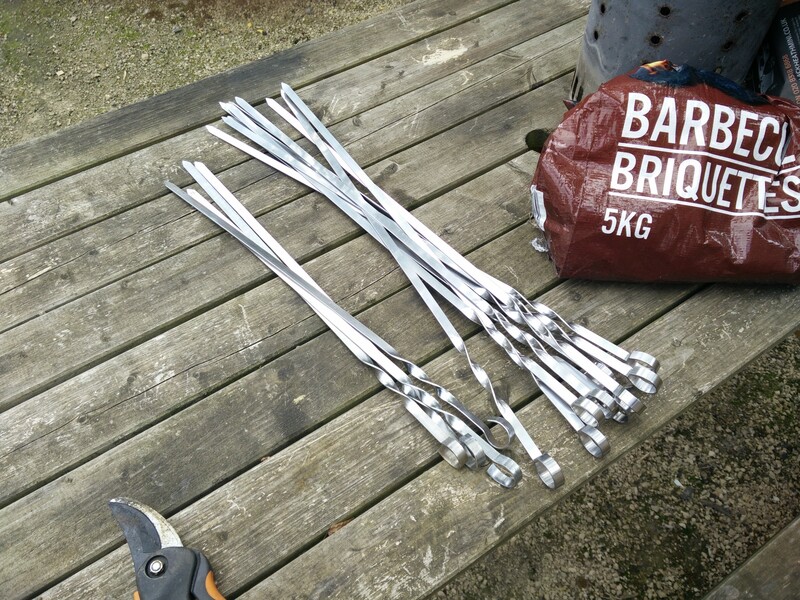 So I’ve got myself some nice wide skewers that should do the trick. 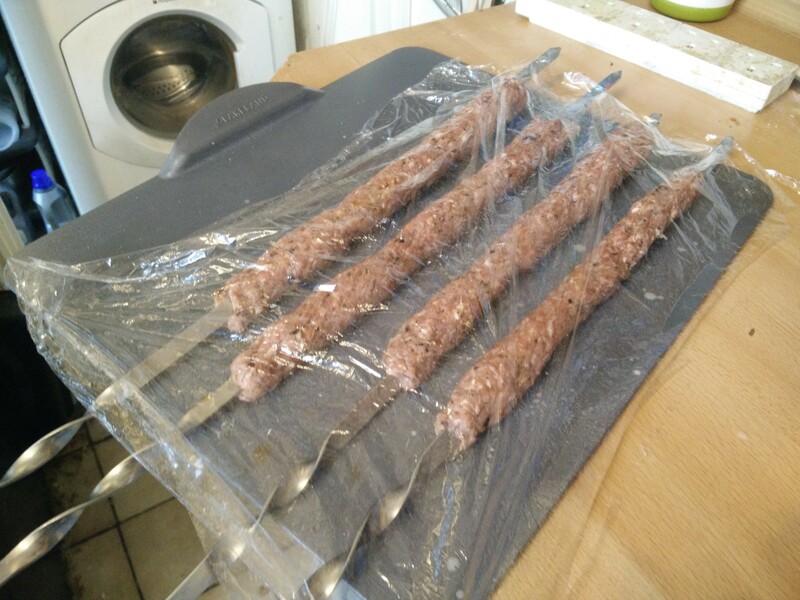 For meat we’re having adana kebabs: lamb mince spiced with sumac, cumin and Urfa chilli flakes. 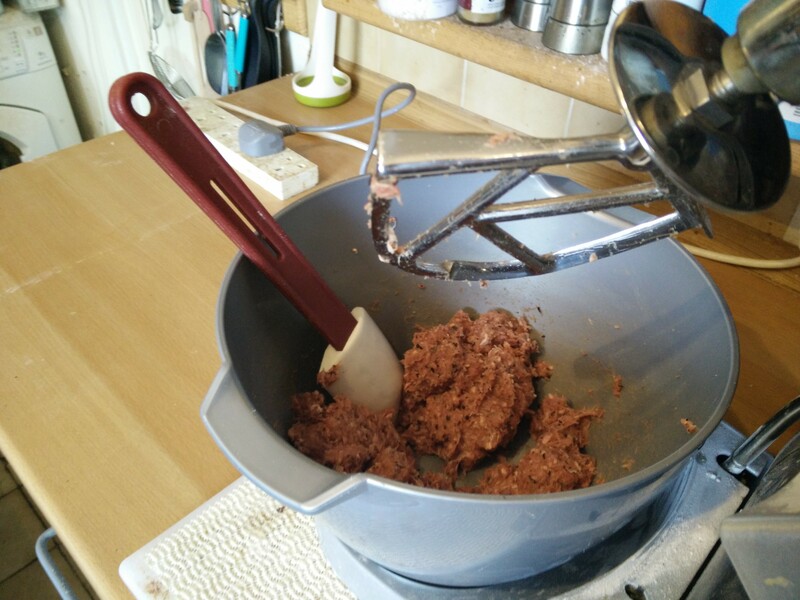 The mince gets mixed until the fat makes it go all stick, so hopefully it’ll stay on the skewer! 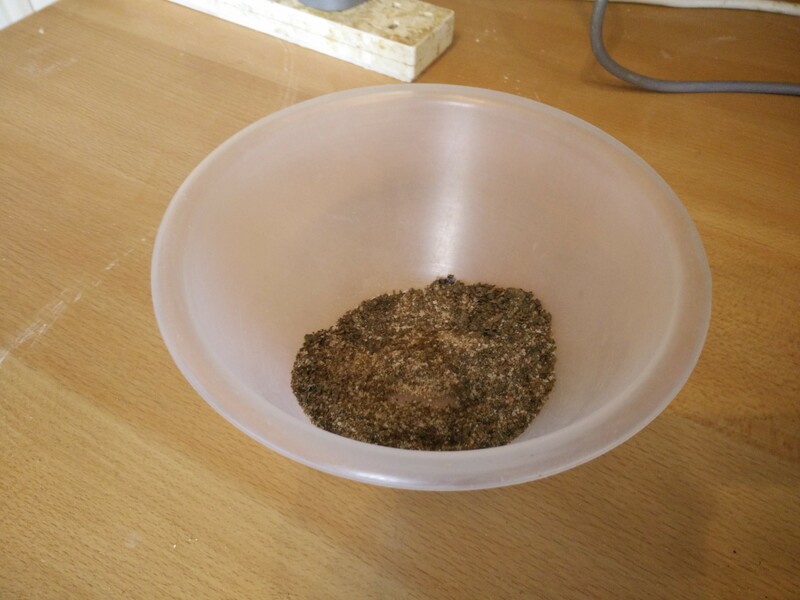 More sumac, cumin & Urfa chilli flakes make up a spice rub to be added during cooking. And now we’re out of sumac and Urfa chilli flakes, which aren’t things you can get from Sainsbury’s, so a trip to Borough market is in order (or maybe Amazon will have them…). 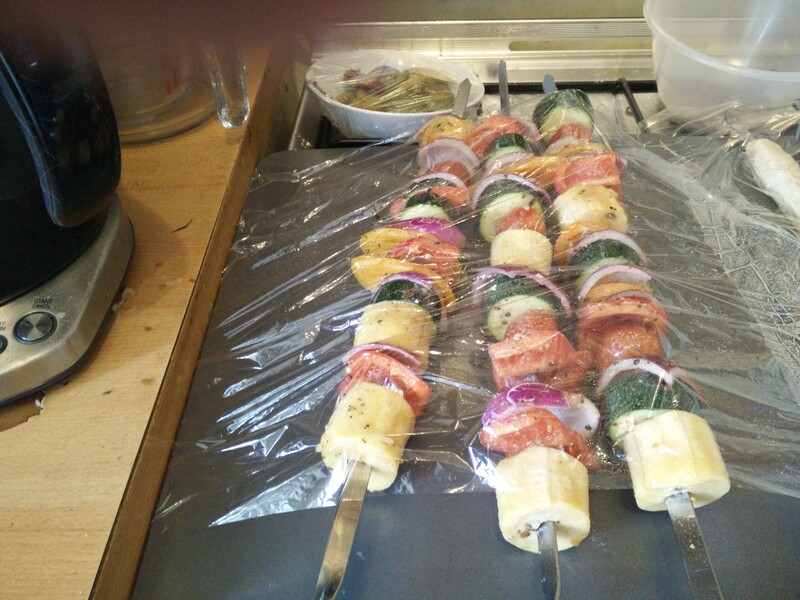 For veg it’s skewers of whatever we’ve got lying around, plus some plantain from the local shop. 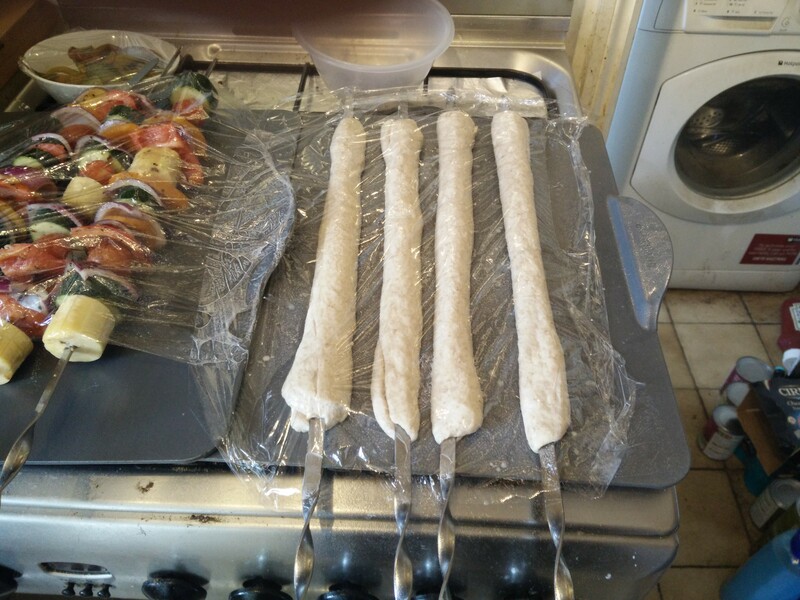 For bread… I’m doing my sourdough on skewers! Clearly too much food for two people! Sorry did I say too much food? Turns out we ate it all, because delicious. The bread may look ‘Cajun blackened’, but actual tastes great: all crunchy on the outside and barely cooked on the inside – proper camp fire bread! Oh and I’ve ordered sumac and Urfa chilli flakes from Amazon.